Peppermint is one of my all-time favorite flavors. In fact, when I go to Starbucks, 9 times out of 10, I order a peppermint mocha (except now, when they charge me more for it because it’s considered a “holiday” drink). 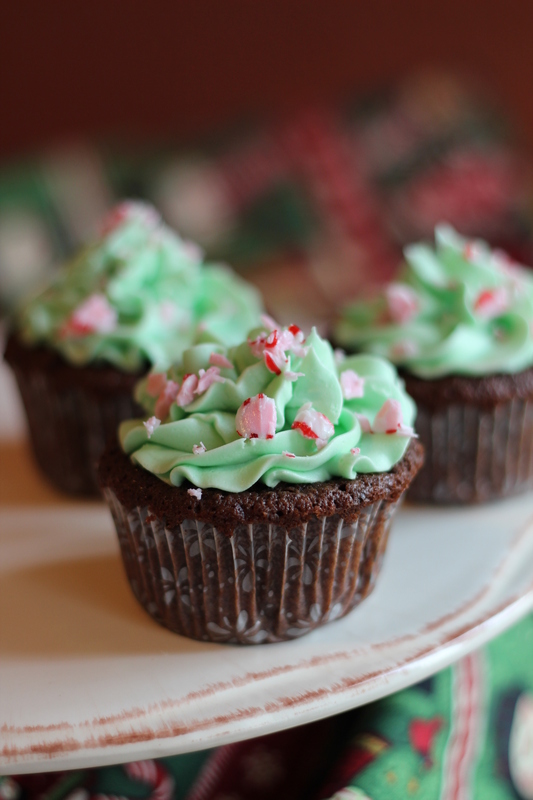 And peppermint, when paired with chocolate, is one of the most heavenly desserts I have ever had. So when I thought of creating a dessert for a holiday party a few days ago, this was the first thing that came to mind. 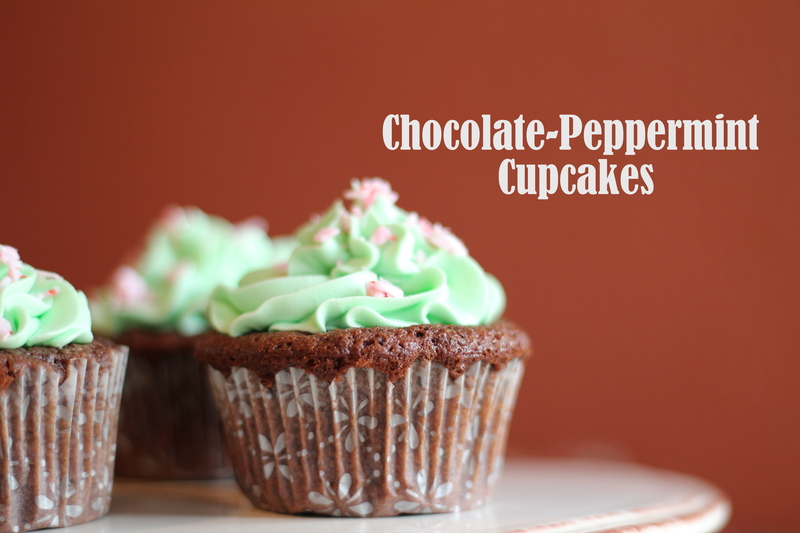 If you love chocolate, or mint, or both, these are the cupcakes for you. 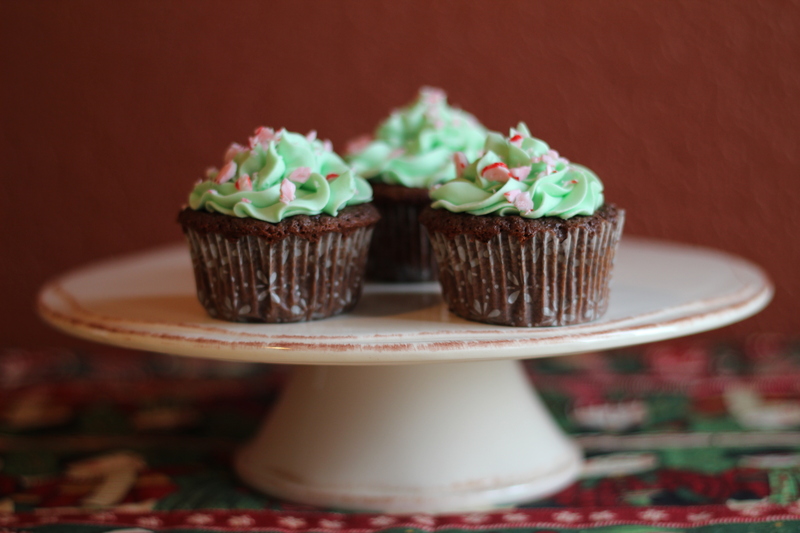 The mint adds a subtle contrast to the chocolate cake, and when you take a bite, you get a nice, even flavor of both cake and frosting. (It was really difficult for me to eat just one. I have such a hard time with self-control!) However, if you’re like me and you eat cake because you love frosting, then pile the buttercream on, and get a little bit of cake with your frosting! Preheat oven to 350. Line a cupcake tin with paper liners. Beat the butter with an electric mixer until it is soft. Add sugar and beat about 3 minutes. Add the eggs, one at a time beating until they are well combined and yolk is fully dissolved. In a separate bowl, combine the dry ingredients and whisk them to incorporate them. In another small bowl, add the milk and vanilla. Add 1/3 of the dry ingredients to the butter and sugar and beat it just to combine. Add ½ of the liquids (milk & vanilla); scrape down the bowl and beat to combine. Add another 1/3 of the dry, followed with the rest of the liquid. Mix until combined, then add the last of the dry ingredients. Mix. Using a spatula, fold any remaining dry ingredients in, making sure everything is fully combined. Fill muffin tins 2/3’s of the way and bake for about 20-22 minutes. Allow to cool, then frost. Beat butter with a mixer on medium-high speed until pale and creamy, about 2 minutes. Reduce speed to medium. Add sugar, ½ cup at a time, beating for 2 minutes after each addition. Add peppermint extract, one teaspoon at a time, until desired taste is achieved. Beat until buttercream is smooth, about 2 minutes. 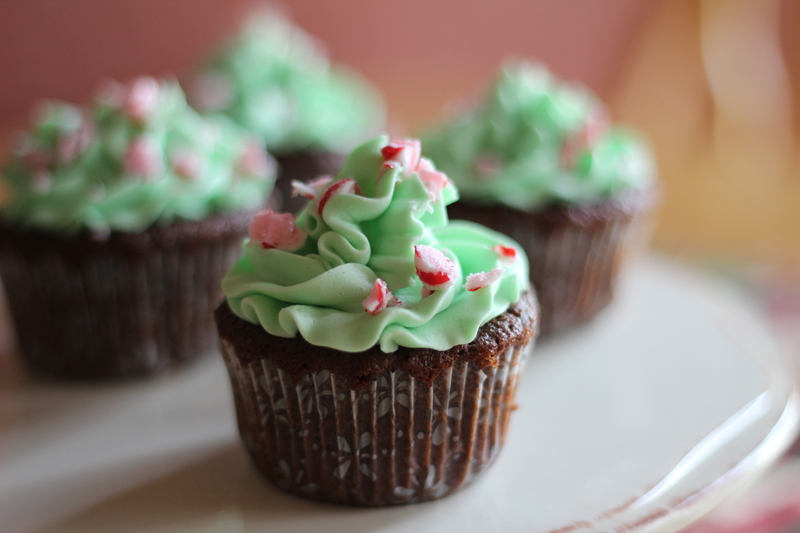 When cupcakes are cooled, spread buttercream on top, either with a piping bag and tip, (I like to use 1M), or with a knife. Sprinkle with the crushed peppermints.